Have you stopped to consider your password security lately? If not, you should, because password security is being considered every day by hackers. Password characters can be broken down into 4 simple categories L = lowercase letters, U = Uppercase letters, N = Numbers, and S = Special Characters, such as & * $, etc. The most common password configuration is LLLLLLNN, and who would guess that those last two numbers are a birth year? Probably a fairly sound guess. The 2nd most common is only a slight change from the first ULLLLLLNN. And the 3rd is again a slight deviation from the first two, ULLLLLLN. Good news for hackers, bad news for you is that last number has to be one of 10 options. In the top 15 password combinations, in a recent study, not one included an S – Special Character. The study went on to look at the frequency of types of words used within passwords. The most frequently used category of words was the Top 100 Baby Boy Names. We all know this varies slightly from year to year, for reference this was a 2012 study. Second was Top 100 Dog Names, and Top 100 Baby Girl Names rounded out the top 3. From there you had US States, US and World Cities, and Professional Sports Teams. So now you’ve realized you have no Special Characters and your password is your dog’s name. But wait there’s still more before you start changing passwords. One downside to a random password is a key stroke logger. The utilization of a key stroke logger is it’s going to easily note a random string of characters, no matter how complex they are or how many special characters they include. In fact the more random it is and the more frequently it’s typed the more likely it will be clear that it is your password. So then what is the solution to passwords? Not using a password at all – change to using a PassPhrase and the longer the better, 25 characters is recommended. 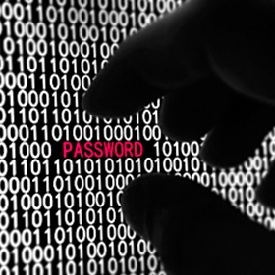 What is a passphrase? MyNextCampingTripWillBeToLakeShasta Likely easier to remember than a string of characters, but they also make brute force attacks impractical for an attacker. The lesson here is that a more secure technology environment doesn’t have to be a more complicated or difficult one. Many people even find that they prefer a passphrase over a password once they get used to typing it.